ISBN-13: 978-0-89722-334-8 Hardback, 1 vol, 322 pp., color and b/w figs., 79 color pls. The Kushan Empire was a vast inland empire that stretched across Central and South Asia during the first to fourth centuries AD. The origins of Kushan dynasty continue to be debated, and precise dates, especially for the late Kushan kings, remain elusive, but the coinage reveals the Kushan dynasty as a major force in the cultural and political history of the ancient Silk Road. Kushan coinage began c. AD 50 with issues of the first Kushan king, Kujula Kadphises (c. AD 50–90). The first Kushan coins were based on Greek, Scythian, and Parthian coin designs already current in the territory of present day Afghanistan and Pakistan. Under Kujula Kadphises’ son Wima Takto (c. AD 91–113) and grandson Wima Kadphises (c. AD 113–127) the coinage system was gradually centralized to serve the entire Kushan empire, stretching from Uzbekistan and Tajikistan to northern India. Gold and copper denominations were established during the reign of Wima Kadphises which were maintained through the reigns of ten more kings until the demise of the Kushan empire in the mid-fourth century AD. This catalogue presents all the Kushan coins in the American Numismatic Society, with selected illustrations, detailed descriptions and commentary. The production system of Kushan coinage is presented with major revisions of chronology and organization compared with previous publications. This presentation has been based on the latest coin-based research, including die studies and site find analysis. The coins are classified by ruler, metal, mint, production phase, denomination, type and variety. Introductory essays present the historical and cultural contexts of the kings and their coins. All the ANS gold coins and a selection of copper coins are illustrated. This catalogue also features two series of coins issued by the Kushano-Sasanian and the Kidarite Hun rulers of former Kushan territory because they followed and adapted the Kushan coinage system. 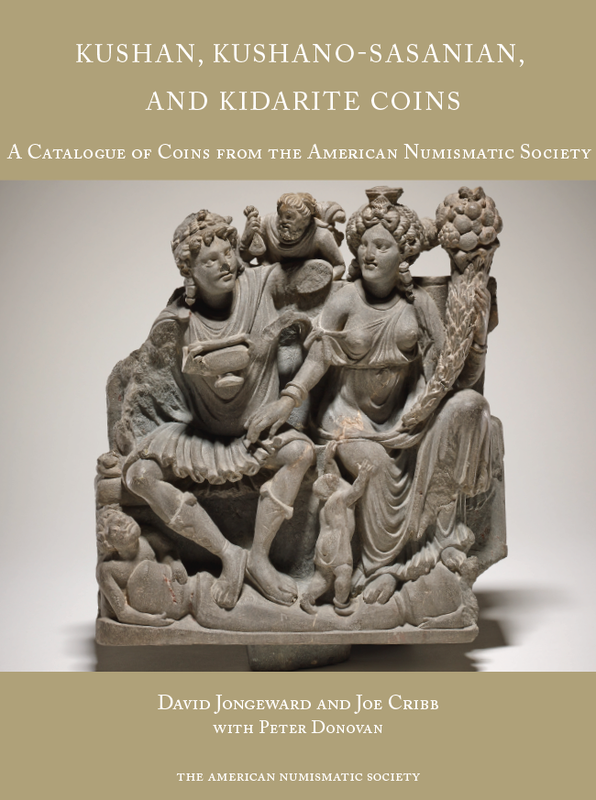 The authors intend this catalogue to be a tool for scholars and collectors alike for understanding, identifying, and attributing these fascinating coins that represent four centuries of Central and South Asian ancient history.